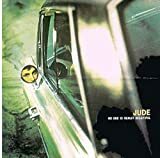 JUDE KING OF YESTERDAY (RADIO REMIX) LYRICS"
How it seemed that we could live forever in a lovers dream? Your heart can start to grow. I've been there now I know what to say... I'm the king of yesterday. A silly little love song for myself. It's all I ever do you know I shine the shell. A pretty little picture, the face of you. You were my setting sun and now you're every view. I'm the king of yesterday. Why don't, why don't, why don't you stay? Why don't you stay? Why don't you stay? Why don't you stay? Take a little time, throw it on the line. Let me believe that you believe in me. Baby turn around, look at what I found. You were the one that I wanted. And someday I'll be over on my own. You know I much preferred you walking away. Why don't you stay? Why don't you stay with me? Stay. 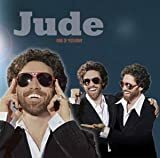 All Jude - King of Yesterday (Radio Remix) lyrics are property and © copyright of their respective owners. All King of Yesterday (Radio Remix) lyrics provided for educational purposes only.